David W. Polsky is the attorney to call if you’re caught driving without insurance in North Jersey. 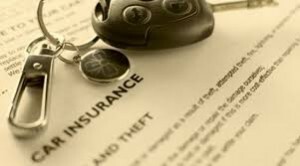 If you are charged with driving without insurance under N.J.S.A. 39:6B2 (commonly known as no insurance), in addition to fines you are subject to losing your license for 12 months. Although this loss of license had been mandatory, there have been recent changes in the law which can allow a person convicted of driving with no insurance to avoid loss of license. We can discuss your particular situation, and I will advise you what I think your ultimate penalty will be on this charge. All matters I accept are on a reasonable flat fee basis. We accept all major credit /debit cards, and payment plans are available. I offer a free consultation either by phone or in my office.